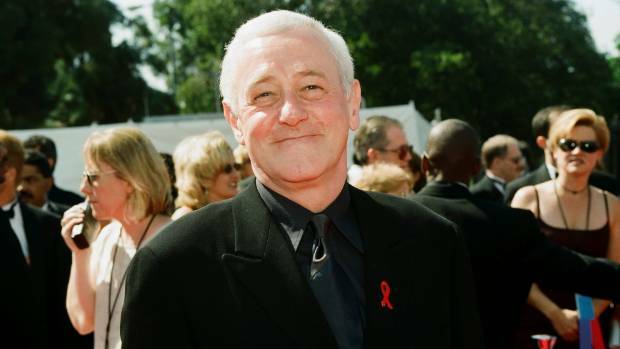 "Frasier" star John Mahoney passed away at the age of 77. In Frasier, the hit Cheers spinoff that aired from 1993 to 2004, Mahoney played Martin Crane, a disabled ex-policeman who parked himself in a battered old armchair in Frasier's chic Seattle living room. It wasn't long before he became entrenched in Chicago's vibrant theatre scene, becoming a regular performer at Chicago's famed Steppenwolf Theatre. John Cusack, who appeared with Mahoney is the 1989 film "Say Anything", tweeted that he was a great actor and a "lovely kind human - any time you saw him you left feeling better". In 2000, he was awarded a SAG Award for his work on the show, and was also nominated for two Emmy Awards and two Golden Globes. It was only in his 40s that he became a professional actor, after actors John Malkovich and Gary Sinise invited him to join the new Steppenwolf Theatre Company. "Tonight's opening night performance of You Got Older has been cancelled". This led him to NY, where he won a Theatre World Award for his role in an off-Broadway production of "Orphans". "It is with our deepest sorrow that we share the news that ensemble member of 39 years John Mahoney passed away due to complications from cancer while in hospice care on Sunday", Steppenwolf wrote on Facebook. Born in Blackpool but later becoming a USA citizen, Mahoney began acting in the 1970s. He earned his citizenship by serving in the United States army. Prior to his role in Frasier Mahoney appeared in many films including Say Anything, In the Line of Fire, Tin Men, Reality Bites, The Hudsucker Proxy, Primal Fear, Moonstruck, Suspect, Frantic, The Russia House, She's the One, Barton Fink and The American President. He was even more accomplished as a stage actor. By 1986, he had won a Tony Award for his role as Artie, a starstruck NY city zookeeper, in the 1986 Broadway revival of John Guare's comedy "The House of Blue Leaves". Throughout the 11 seasons of Frasier, Mahoney carried a cane and walked with a limp.